Normally, entrepreneurs do not find an accountant essential for their startups. They often see accountants as superfluous. They think that a small business does not require an accountant at the initial stage, and so they overlook the necessity of accountants or accounting consultants. But this leads to a lot of problems and complications later on as the chances are that some mandatory requirements might get ignored. So, the start-ups and small businesses need to avail services of accountants in canary wharf for a smooth running business. * Since you are a newcomer to the market, you need to do a lot of work. You’ll be your own boss and would be handling many employees. You’ll be so busy making up to the demands of your customers that managing accounts and other financial transactions would be almost impossible. Our accountants at canary wharf will help you with bookkeeping and other accounting services. * Our tax accountants in canary wharf and nearby regions will not only assist you with filing your tax returns but also helps you resolve other issues related to financial transactions and bookkeeping. * Any investor you approach will find it easier to discuss the intricacies of the financial health of the business with an accountant rather than a layman with relatively less experience. * Our Chartered Accountants in Canary wharf help you decide on the right time to expand your business and how far to stretch the finances without exposing the company to risk. A study on the growth of startups shows that poor financial health is the most prominent cause of the decline of any business. DNS Accountants provide the best accountants in Canary wharf. We offer a full range of accounting and bookkeeping services for contractors, small business, private clients and especially startups. We are widely trusted across the UK for our expertise in bookkeeping, payroll management, and tax filing issues. Transparency and on-demand customer service are what makes us the best chartered accountants in Canary wharf. We have a team of highly skilled tax accountants who not only help you in filing your taxes but also reduce your burden by providing solutions to all kinds of tax related problems thus making us the best tax accountants in Canary wharf as well. Canary wharf is one of the major business districts in the UK. It is one of the United Kingdom’s two main financial centers. It has a bevy of business opportunities and presents tremendous scope for startups. This increases the demand for expert accountants in Canary wharf. DNS is one the most popular and trusted accounting firm in Canary wharf. Canary wharf has the headquarters of numerous major banks, professional services companies, and media organizations. Here, our chartered accountants and tax accountants have been providing professional assistance to people. At DNS, we help you save your money in every possible way. With our expert and efficient accountants at the helm of affairs, DNS ensures peace of mind regarding tax filing to all our customers. We also provide expert advice and plans for the expansion of your business. We provide you regular reports of your financial status and our staff is always ready to communicate with you anytime and regarding any financial issue. We help you save money by proper tax planning, with all rules and regulations being duly followed. We believe in incorporating innovation and technology in daily activities. We help you to bring out your innovative business ideas and provide you with best accounting services using the latest technology available. We believe in making lives of entrepreneurs easier. All this makes DNS Accountants Canary wharf’s best accounting firm. With such large number of entrepreneurs coming up with new ideas, the need for accountants in Canary Wharf is increasing day by day. Startups and new businesses require proper guidance and support to flourish. DNS provides you with the best advice and accounting solutions to help you maximize the potential of your business. With our extremely talented team and their innovative accounting solutions, we provide you with the best of our services. 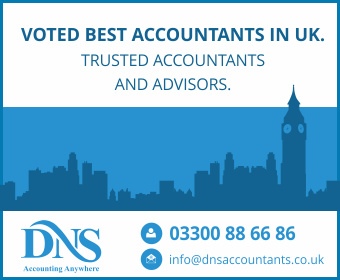 DNS is amongst the leading accounting firms in Canary wharf. DNS Accountants are there to help you at any stage of your business, whether you are a start-up, small business, contractor, freelancer or an individual. We have a highly professional team with a real experience who are ready to help our clients anytime. We work according to your requirements. All our accountancy solutions will be in favor of your business and will help you take your establishment to great heights. We have the best tax accountants in Canary Wharf to provide you with tax filing solutions and help you save a lot of money. We provide our clients with the monthly details of their financial transactions so that they can decide where to invest and which expenses are useless that should be avoided. The terms company formation and company registration are interchangeable. It refers to the process of incorporation of a company in the UK. Under the United Kingdom’s company law, a company is considered as a separate entity from the individuals who own it. We help you with completion of all the paperwork related to company formation. It is a tedious and time taking process, and DNS is with you all this time, helping you in all possible ways. Thus, we help you establish your business from scratch. Accounting helps keep the measure of financial transactions. Accounting is famously known as the universal business language. It measures the results of economic activities of a business to see whether it provides profit or loss. It is thus used to produce the financial reports of an organization. At DNS, we provide you with year-end accounting services so that you can measure the pace at which your business is growing. Advantages of registering for VAT include VAT repayments. To the newcomers, VAT registration may appear as a complex issue. DNS helps complete your VAT registration economically and save your money. We will first help you to decide whether to take up the registration or not and thereafter everything will be managed by us. DNS provides the best accounting services in Canary wharf and all around the UK. We help our clients to get comfortable and resolve all their issues in the best possible way. We’re always available to assist you till you get satisfactory results. We help small business and start-ups to reach great heights by providing proper consultancy and financial services.